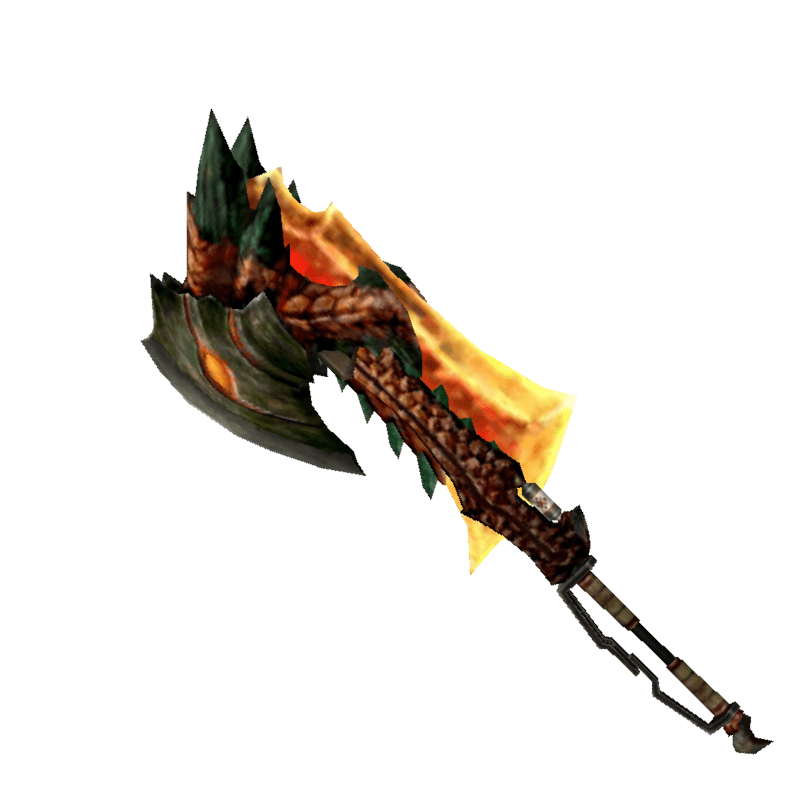 A Switch Axe made from Rathalos materials. Facilitates igniting attacks. / The Rath Flame Splitter's final form turns its user into the king of hellfire.